At Money Dashboard our mission is to help people from all walks of life be happier and more successful by putting them in control of their finances. Whilst our award winning app helps provide the tools you need to do that, we understand that getting great advice from experts and coaches is also a vital part of getting the most from your money. After all, the better you understand your current money managing habits and skills the more likely you are to develop habits and skills that lead to more positive results. We are delighted to have partnered with Andrew Priestley, an award-winning business coach, trainer and keynote speaker and author of The Money Chimp. His book is a fantastic resource which outlines 10 proven money managing principles that will help you stop wasting money, reduce your spending, save money and quickly become debt free. 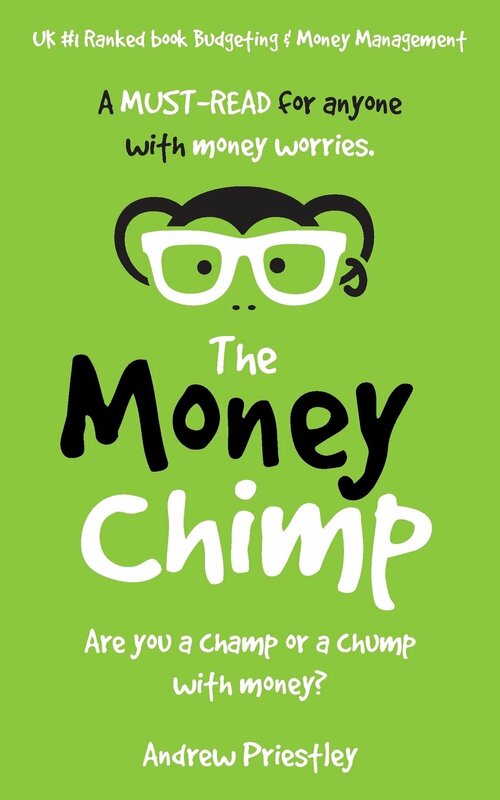 Along with The Money Chimp book, Andrew also developed The Money Chimp Quiz which helps you identify your current money managing habits and skills. Normally it would cost £25, but for a limited time Money Dashboard members can access the quiz for free by entering our February Members Giveaway. Give it a go to find out your strengths & weaknesses across ten money managing skills and learn how to use them to your advantage! Ideally those vertical bars need to be somewhere inside that grey zone. If they are outside the horizontal grey zone - too high or too low - it means it's an area requiring your attention. The report then gives detailed feedback for each of the money managing habits and skills. The graph above suggest this person doesn't earn enough, they spend too much &don't save. and they need to pick up skills in monitoring their finances. It appears this person may already be working on reducing their spending because it is in range. In addition to the graph you will also get detailed feedback on how you answered every question. That adds up to a clear and personalised report on your money-managing skills. You can take the Money Chimp Test at www.moneychimp.net or enter our February Members Giveaway to receive a link giving you free access.